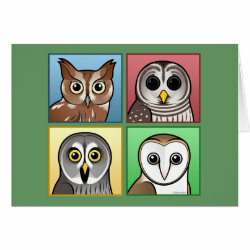 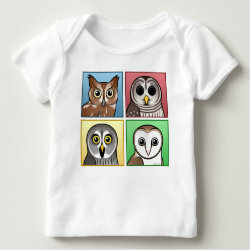 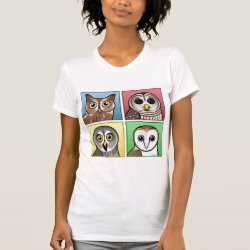 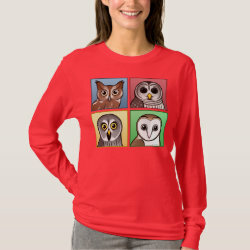 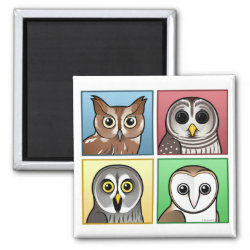 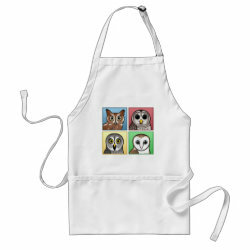 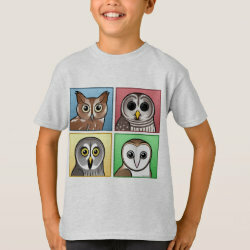 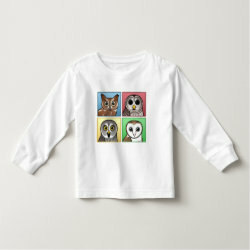 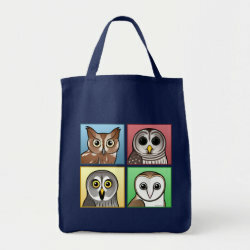 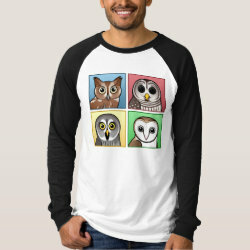 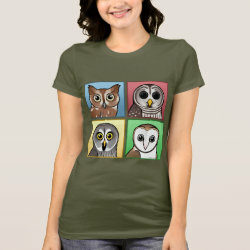 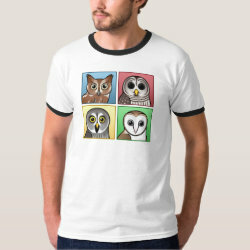 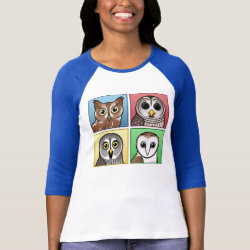 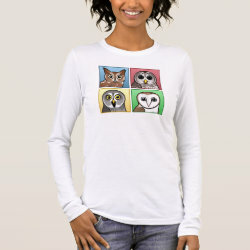 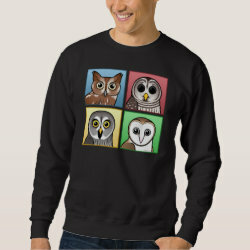 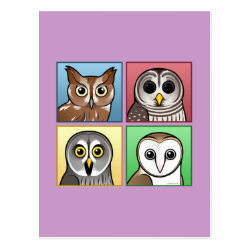 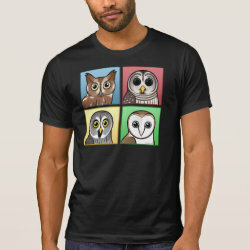 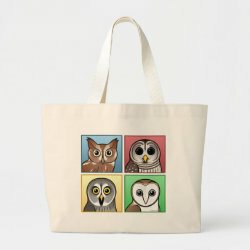 Four cute Birdorable owls pose portrait-style in this original pop-art inspired design. 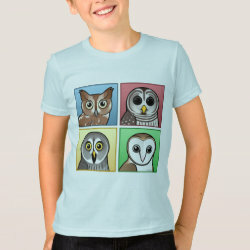 Pop Art owls in muted pastel colors! 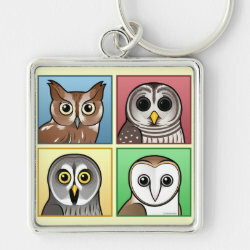 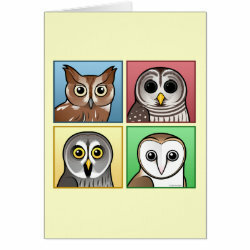 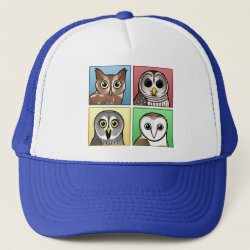 The four owls are: Eastern Screech Owl; Barred Owl; Great Grey Owl; and Barn Owl.